Among the Turks and Caicos Islands(TCI) Grand Turk is unique. While some islands are rocky for long stretches, most of Grand Turk’s coastline is beach. At six and half miles long, this island is tiny, but the snorkeling, diving and beautiful beaches is the essence of the quiet peace found there. 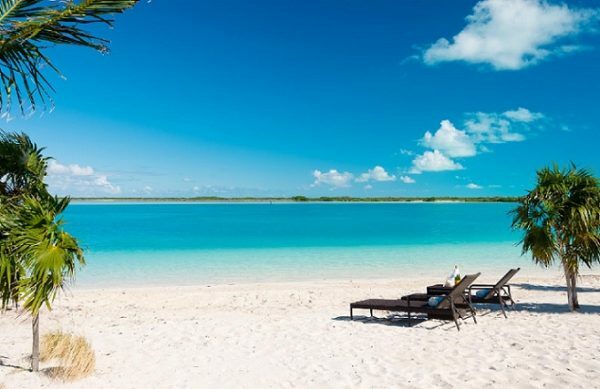 TCI has one of the largest coral reefs and some of the best beaches in the world making them ideal for the family, nature-enthusiast or adventurer. Located at the southern tip of the island and a third of a mile from the Cruise Center Boaby Rock Point is a great place to get away from the crowds. The swimming is not as nice as Governor’s beach, but the beach-combing is good. If you like out of the way beaches to explorer, remember Boaby Rock. 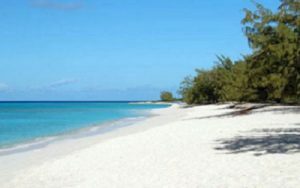 Governor’s Beach is one of the most popular beaches on Grand Turk. This place is known for its great snorkeling and swimming. Governors is located in the Columbus Landfall National Park and has a view of the Grand Turk Cruise Center. 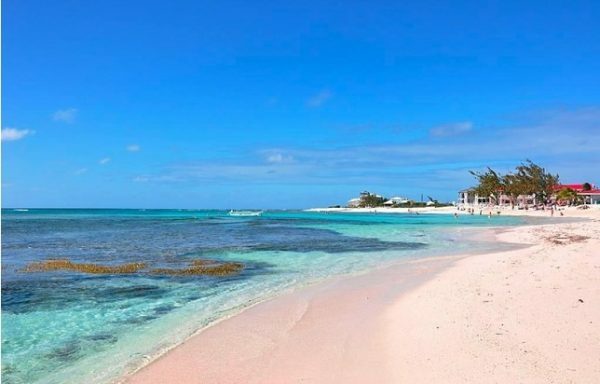 Known for its neon turquoise waters, Pillory Beach is one of the prettiest beach on the island. For the snorkeling-enthusiast, this beach has great snorkeling and swimming. In addition there are food, drink and toilet facilities available. White Sands is a secluded stretch of coastline on the southeast side of Grand Turk. It is known to cruise ship travelers as the beach to visit to get away from the cruise ship crowds; yet it allows easy access to the cruise ship terminal and shops. However, the water is shallow and is not good for snorkeling or swimming. For visitors wanting to see some of the island, White Sands is roughly 1.5 miles from the Cruise Center. This beach is next to Cockburn Town. The snorkeling areas are located along the beach and there are sea walls to sit & enjoy the view. Located within walking distance are various vendors and restaurants. Gibbs Cay is located roughly three-quarters of a mile off the east coast of Grand Turk. Once you are there, the white sanded beach will beckon you to enjoy your time on this exquisite beach. In addition to the beaches, Gibbs Cay is also known as the place to see the stingrays. Whether you’re looking to snorkel, hike or just explore the beaches, you wont be disappointed.